Gong Xi Fa Cai — Happy Chinese New Year! 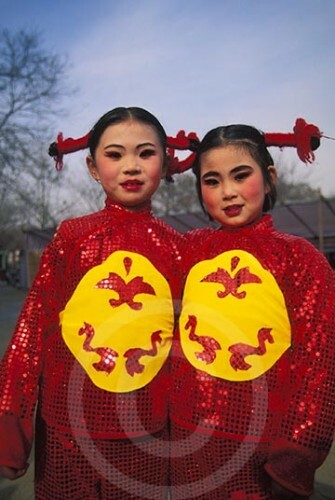 Today kicks off the year 4710 in China, and it’s cause for much celebration and optimism. It’s the Year of the Dragon, after all, the most auspicious and powerful of the twelve signs in the Chinese zodiac. Where did the “Year of a particular animal” idea originate? I wondered that myself. Legend has it that in ancient times, Buddha asked all the animals to meet him on Chinese New Year. Twelve came, and Buddha named a year after each one. He announced that the people born in each animal’s year would have some of that animal’s personality. In Eastern philosophy, the dragon is regarded as a divine beast – the opposite of the malicious monster that Westerners have felt necessary to find and slay. It is said to be a deliverer of good fortune and a master of authority. Those born in dragon years are innovative, brave, and driven. They’re unafraid of challenges, willing to take risks and passionate about all they do. They are free spirits. Think of John Lennon, Joan of Arc, Mae West, and Salvador Dali. A baby boom is expected in China this year as many couples believe it is lucky to have a child born during The Year of the Dragon. Economic forecasts are also strong as new ventures are expected to benefit from the outstanding luck of the dragon. Chinese traditions are so rich that I thought it would be fun to share a few more tidbits I’ve learned about this holiday–both from Jeffrey who has been to China well over sixty times, and from research. Chinese New Year is the longest and most important festival in Chinese culture, lasting fifteen days. It’s celebrated on the new moon of the first month according to the lunar calendar, and is a time for family reunions and massive feasts. It is also a time when every family thoroughly cleans the house to sweep away any ill-fortune in hopes of making way for good incoming luck. At Chinese New Year celebrations people wear new red clothes, decorate with red paper, and give children “lucky money” in red envelopes. Red symbolizes fire, which according to legend can drive away bad luck. 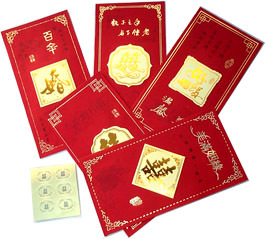 The money given in the red envelopes must be in new bills, and the total amount must be an even number. Certain numbers are bad luck, so the total amount should not be one of these unlucky numbers. Four, for example, is a homonym for “death,” so a red envelope should never contain $4, $40, or $400. Children put their red envelopes under their pillows at night so they can have sweet dreams and become richer in the next year. The fireworks that shower the festivities are rooted in a similar ancient custom. Long ago, people in China lit bamboo stalks, believing that the crackling flames would frighten evil spirits. 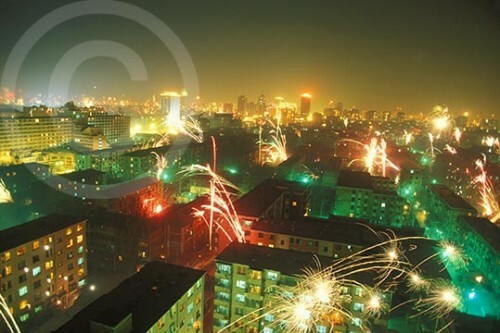 Now at midnight on New Year’s Eve, fireworks and firecrackers light up the sky and greet the coming of the new year, driving away evil spirits. The lantern festival, held on the fifteenth day of the Chinese New Year celebration, is considered the highlight by many. People hang lanterns in temples, and carry lanterns to an evening parade under the light of the full moon. In many areas the centerpiece of the lantern festival is the dragon dance. The dragon—which might stretch a hundred feet long—is typically made of silk, paper, and bamboo. 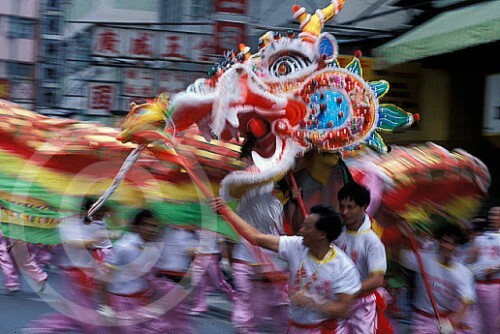 Traditionally the dragon is held aloft by young men who dance as they guide the colorful beast through the streets. I’m always optimistic at the start of each new year. 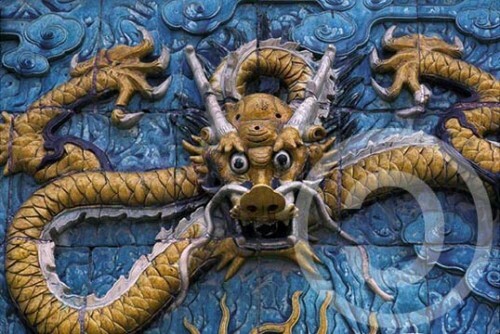 2012 is no exception–especially now that I know the Dragon is leading the way. This entry was posted in Photography, Travel and tagged China, chinese new year, chinese zodiac, cultures, gong xi fa cai, jeffrey aaronson, new year celebrations, photography, photos, traditions by Becky Green Aaronson. Bookmark the permalink. Cross-cultural connections never fail to fascinate me . . .Who would have thought the fireworks in our New Year’s celebration would have some roots in getting rid of evil spirits? Of course, it makes all the sense in the world — not that it’s ever really about ‘sense’. And I simply love the photo of the two girls in red, with all its glorious and mythical connotations. I love learning the origins of traditions too–especially those in other cultures. I will never look at housekeeping the same, nor fireworks or the color red. And aren’t those girls something? Monica, it’s so fun when you drop in here. Your enthusiasm is contagious–one of the qualities I admire most in people. Thanks for all your kind words. Beautiful and informative post, Becky. I think I’ll celebrate it by getting my own house in order–my mental house, that is! I’ve got way too many cobwebs clogging up my head! Happy Chinese New Year to you and your family! Looking forward to what 2012 has in store for all of us. Jessica, I like your idea of getting your mental house in order for the new year. I think we all feel like we could do that! Since I missed doing a major clean out of our (physical) house for our New Year, as well as Chinese New Year, I think I’ll shoot for Tibetan New Year in February. Is there another New Year some time in March in case I miss that deadline too? 🙂 Hopefully the dragon will overlook a few dust bunnies and find it in his heart to plant some extra good luck at our house. We do have a red door after all! Great post Becky! It was really interesting to read the Chinese culture. In my country also, people consider red as color of good luck. That’s why in marriages, the bride wear red. But people here do not believe even number as lucky, rather people give money of an amount that ends with 1; (for ex- 101, 201, 1001… so on) to send the good luck. So I really enjoyed, how culture & traditions in different parts of the world are similar yet different through this post. As always, thank you to Jeffrey, for stunning photographs. Arindam, thanks for sharing a glimpse into your culture too! Like you said, it’s fun to see how cultures and traditions in different parts of the world are similar yet different. Happy New Year to you Becky and your family. Gorgeous photos as always. Great info to go with them. I was thinking we should add that tradition at our house. Knowing we’re sweeping evil spirits out the door might add a little motivation in the cleaning department! Don’t worry, I won’t tell your wife. Thanks for this! And Happy Year of the Black Dragon to you and yours! Happy New Year to you too, Cathy! May the Year of the Dragon bring many good things your way!